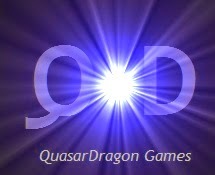 QuasarDragon: You Might Think I'm Crazy, to Bring Free Fiction to You. You Might Think I'm Crazy, to Bring Free Fiction to You. • At Author's Site: "What Fluffy Knew" by Kristine Kathryn Rusch. YA Science Fiction. "Fluffy has the perfect life. Her cat bed, her kibble, a human to wait on her. Until they came." • At Short-Story.me: "Consumed" by Laura Ellison. Fantasy. "She recited the words from the tome; an ancient, difficult language that provoked a response from the natural elements of the world. Her outstretched arms grew heavy with empowered blood. Her fingertips tingled. Then her palms grew hot." At SFFaudio: "The Canal" by H.P. Lovecraft. Poem. Audio. At 365 Tomorrows: "Welcome Home" by Nils Holst. Science Fiction. Winter's Awakening: The Metahumans Emerge (Winter's Saga #1) by Karen Luellen. YA Dystopian. Phantom: The Last Nephilim by Gabriel Common. Fantasy. 55k words. Wyrd Worlds by Various Authors. Fantasy. 91k words. "Tattoos, Blood, and Tony Lamas" by John Burks. Horror, Undead. "Sibyl of Doom" by Shawn Thompson. Science Fiction. "Clockwork Nessie" by Claire Gillian. Steampunk. 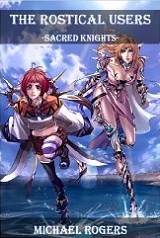 Sacred Knights (The Rostical Users) by Michael Rogers. Fantasy. Madora's Prophecy (The Rostical Users) by Michael Rogers. Fantasy. Secrets of the Horizon (The Union Stories) by Lesa Corryn. Science Fiction. Bentwhistle the Dragon in a Threat from the Past by Paul Cude. Children's Fantasy. At Atomic Kommie Comics: "This Time Tomorrow" Sci-fi. 1953. At Hero Histories: Wolff "Night of the WereWolf" Swords & Sorcery. 1971. At The Horrors of It All: "The Improved Kiss" Horror. 1953. At Pappy's Golden Age Comics Blogzine: "Savage World!" Sci-fi. 1966. Fiction at Short-Story.me: "Ebb Tide" by April Winters. Romance. Fiction at Short-Story.me: "Super Soul Sister" by Tim Weldon. Crime. Fiction at Short-Story.me: "Two Blanks" by George Sparling. 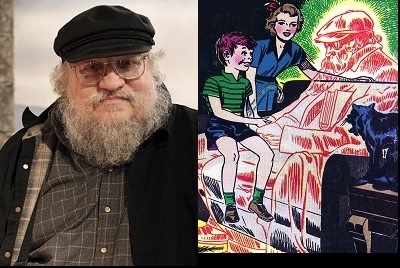 From the cover of Black Cat Mystic #58 (1956) it's the ghost of George R. R. Martin reading to a pair of children. I can only imagine that it's the start of A Game of Thrones and the little boy is saying "Bran and Rob Stark are my favorite characters. I hope nothing bad happens to them"